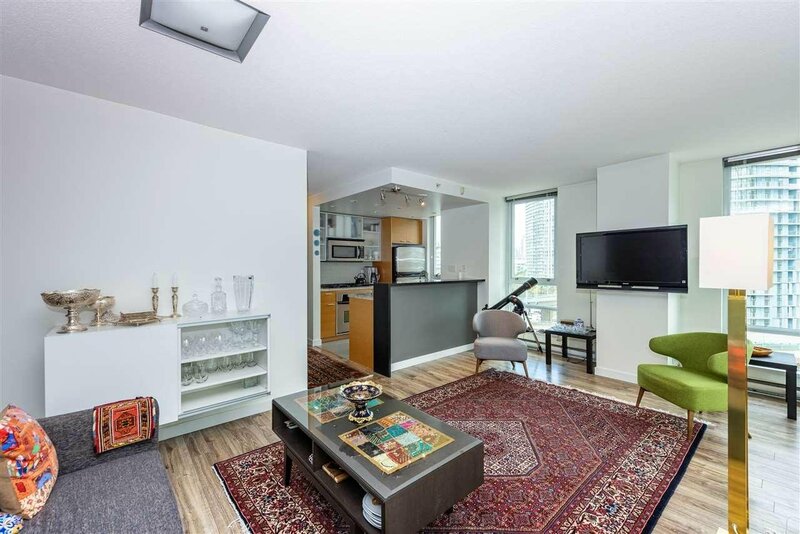 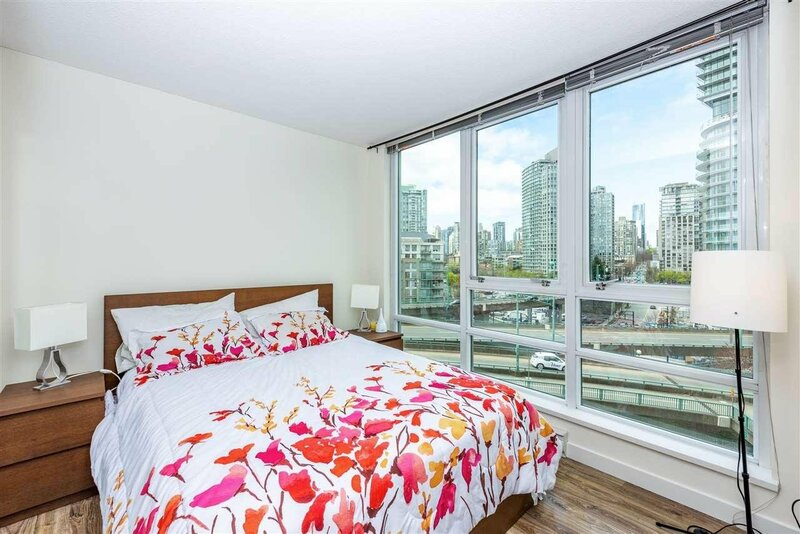 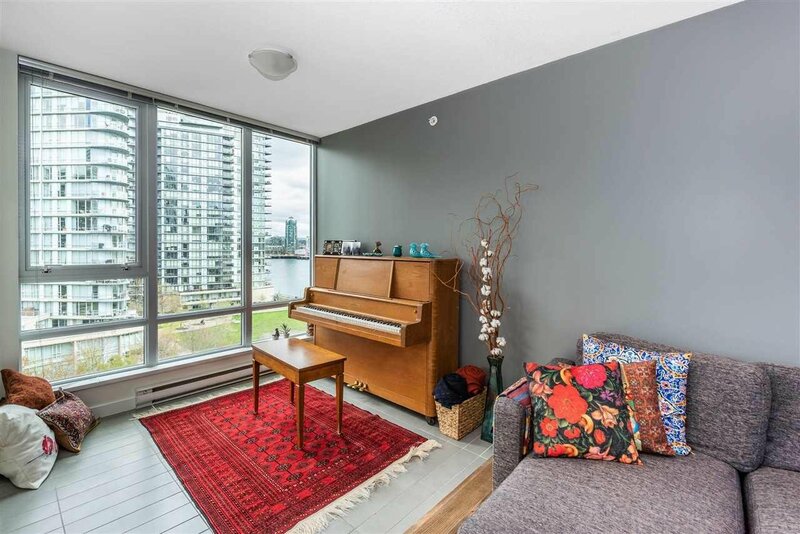 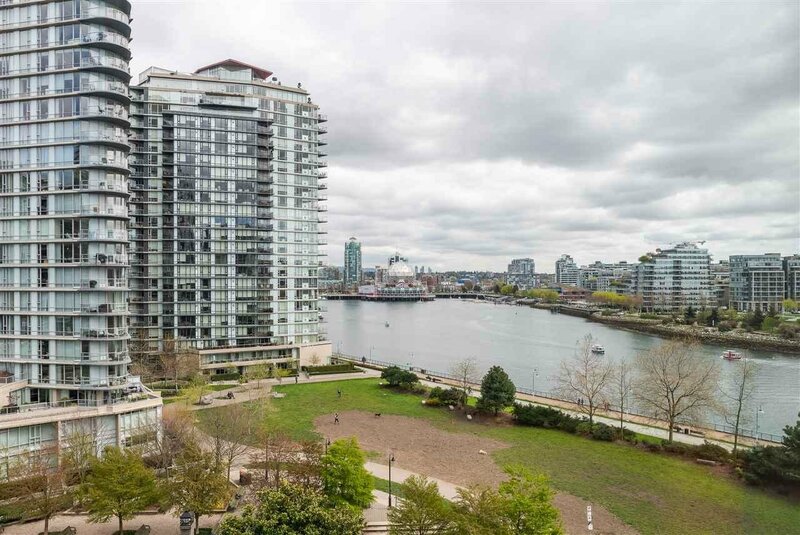 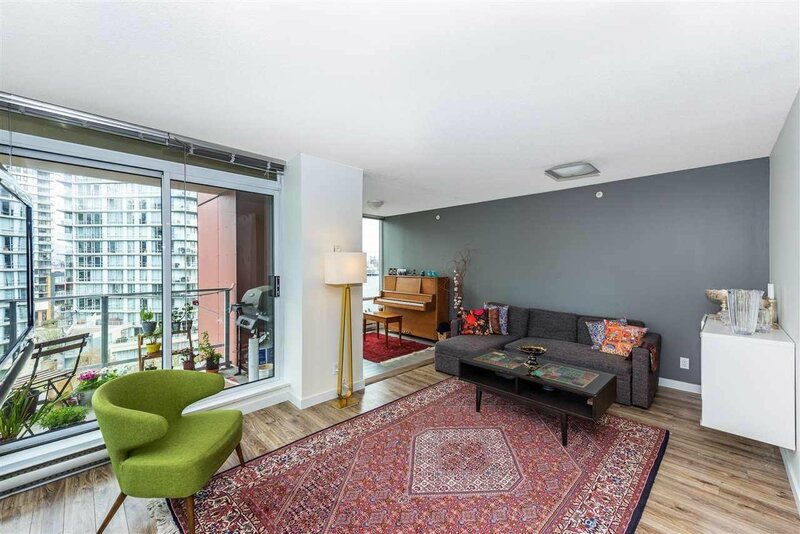 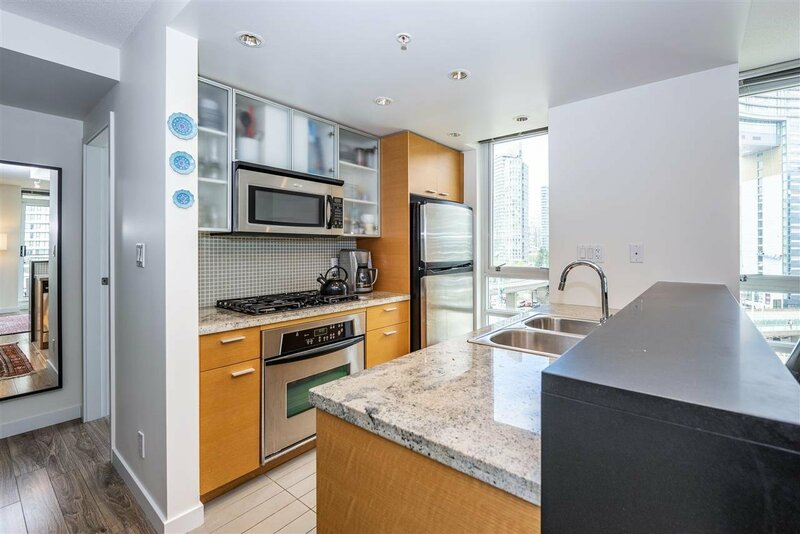 Beautiful & bright 1BR+Den corner unit with VIEWS overlooking FALSE CREEK, SCIENCE WORLD, CITY & PARK. 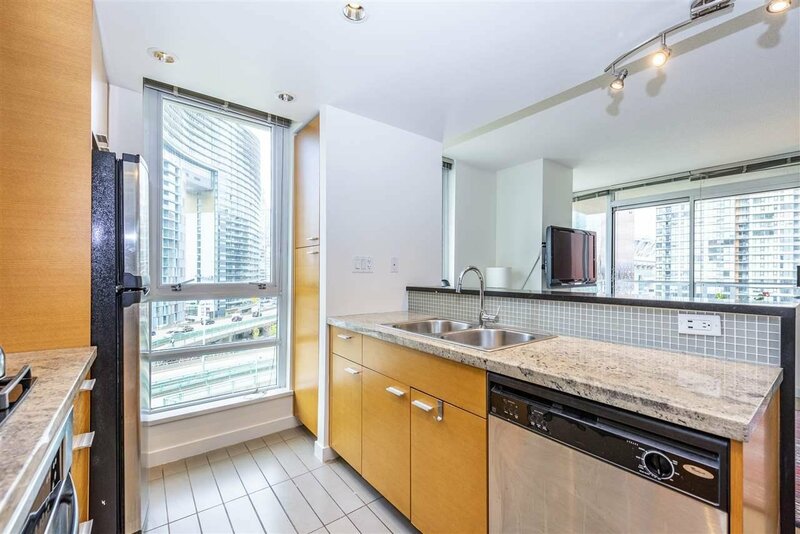 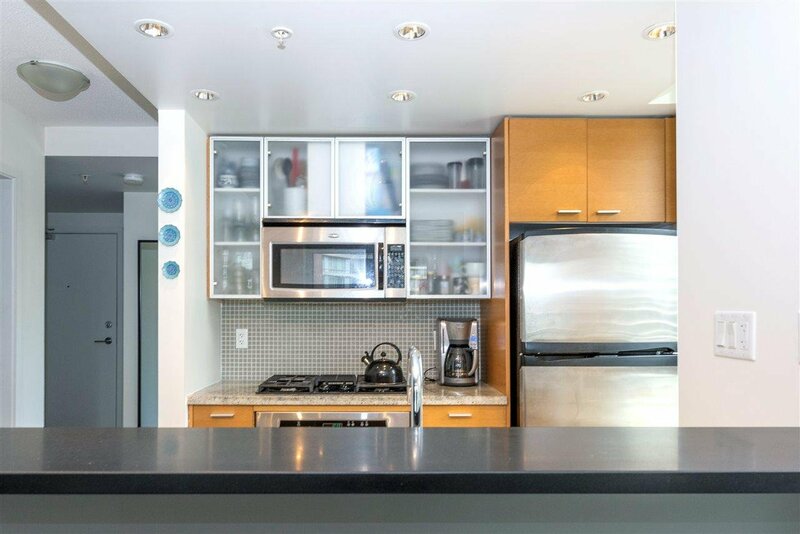 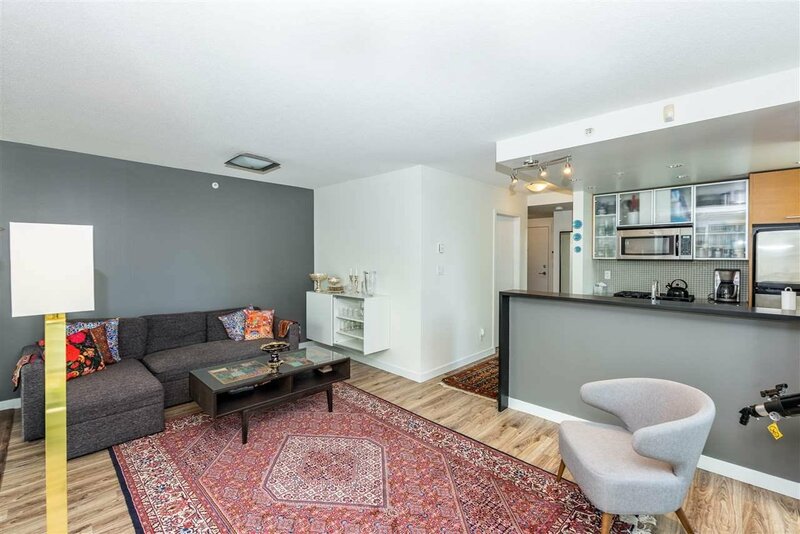 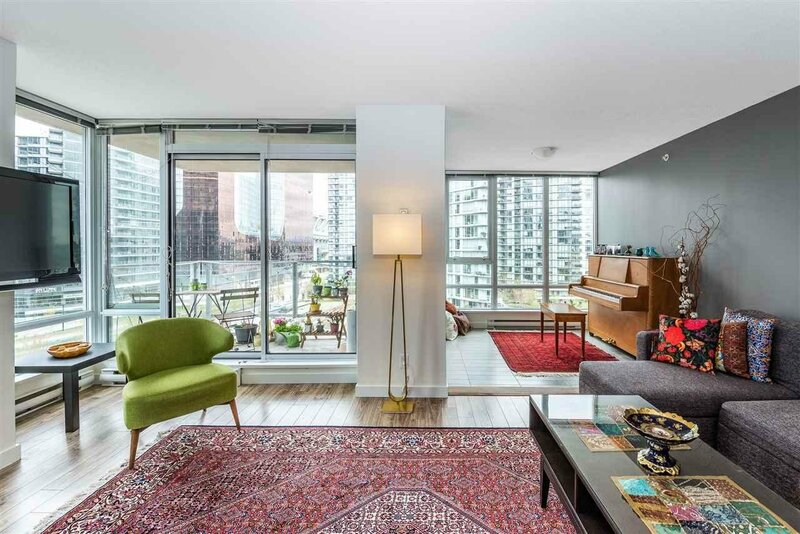 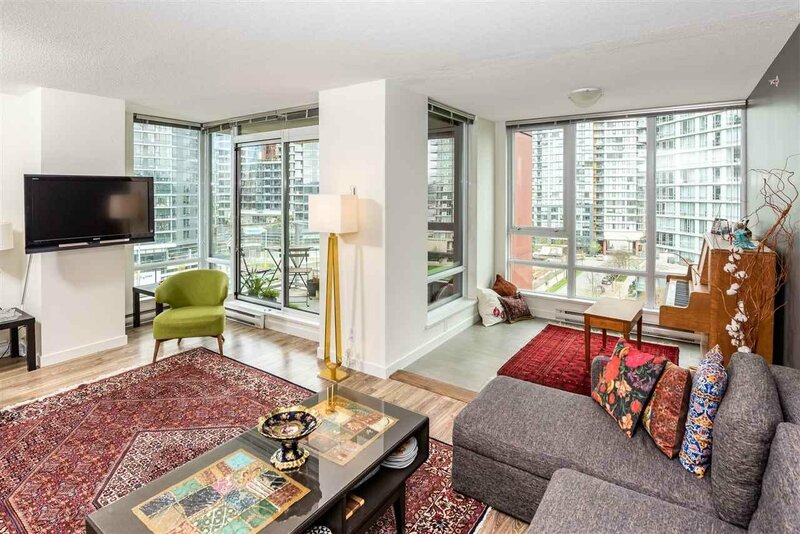 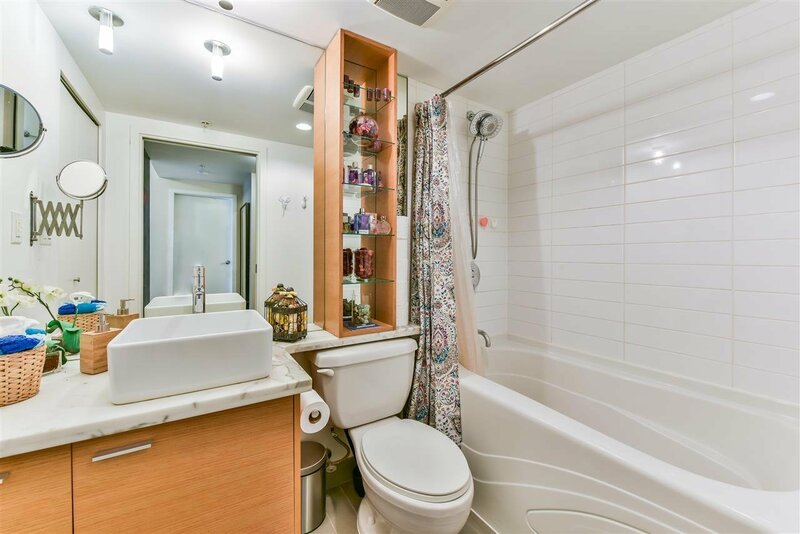 Incredible unit, featuring functional open floor plan, bright floor to ceiling windows, stainless steel appliances, granite counter tops, gas stove, beautiful updated laminate floors throughout, in-suite storage & 1 parking. 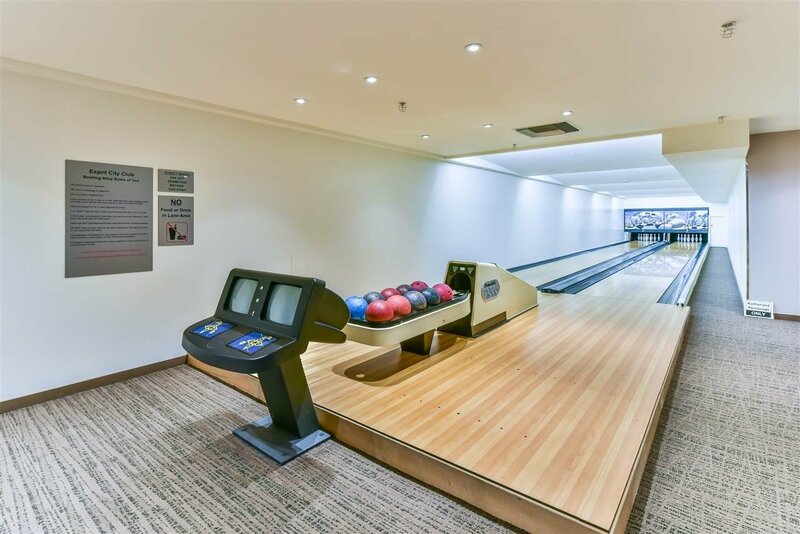 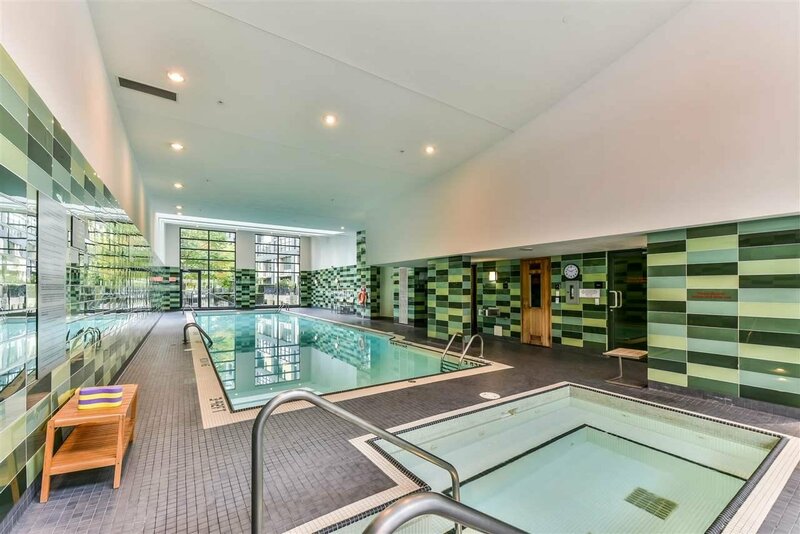 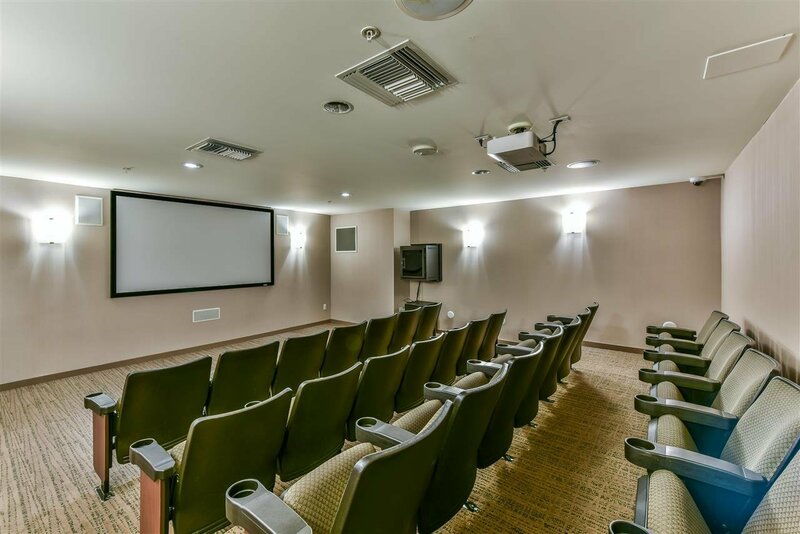 Concierge, exclusive world-class amenities including theater, boating, yoga, indoor pool, sauna, steam room, hot tub, bowling alley, 2 gyms, 2 party rooms. 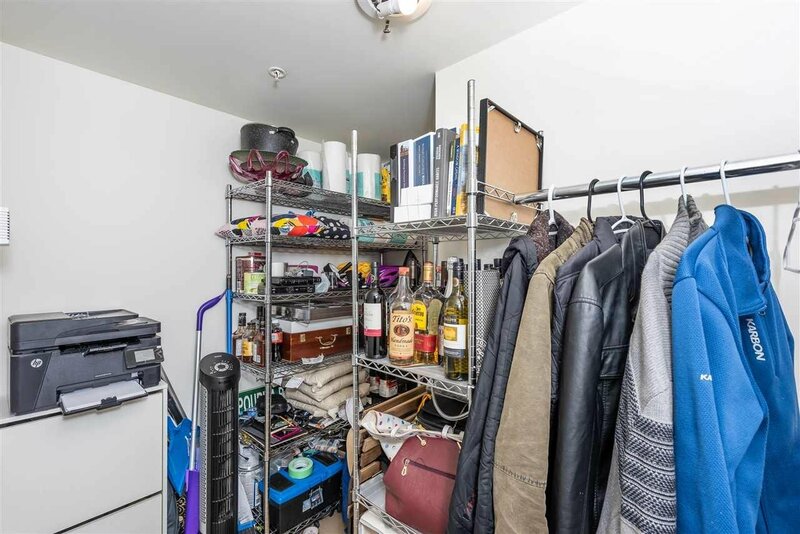 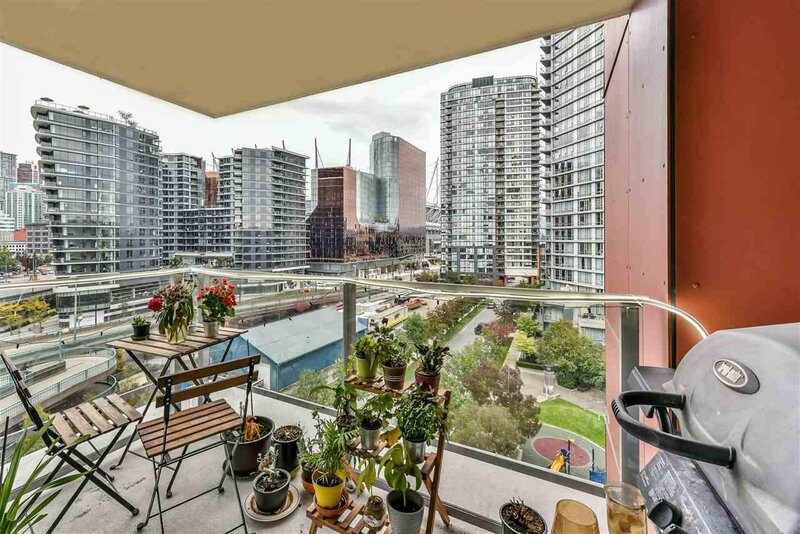 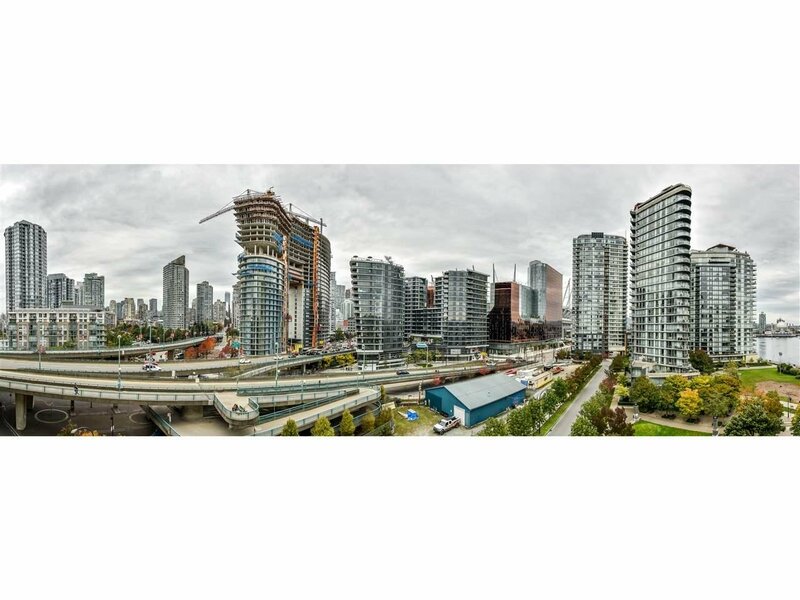 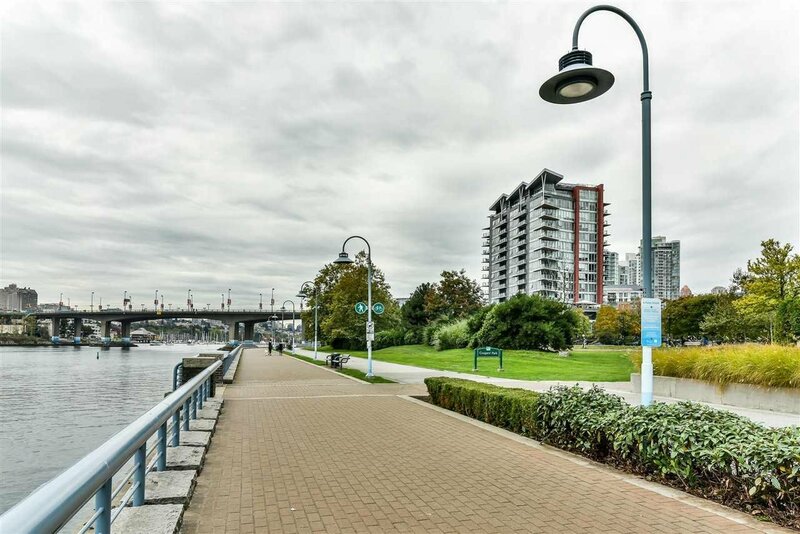 Located at Cooper's Pointe, a waterfront building on the edge of the sought-after Marinaside neighbourhood; steps to BC Place Stadium, the seawall, and Vancouver's new entertainment district. 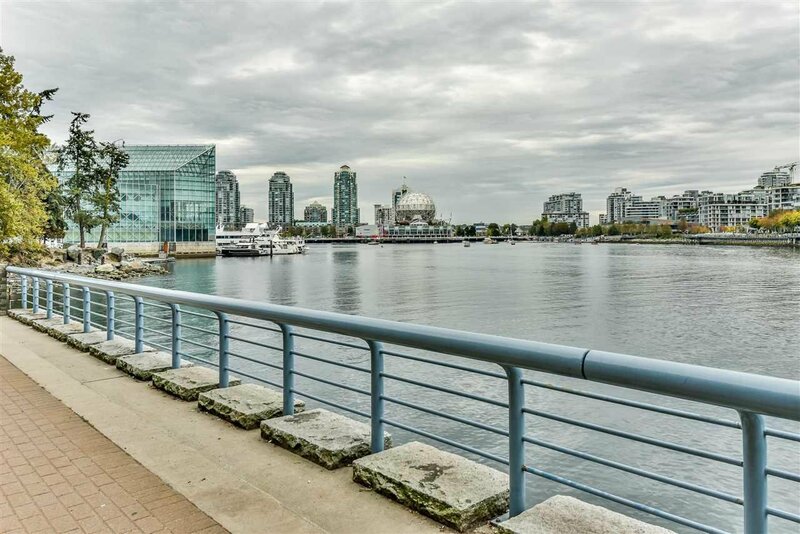 This is the ultimate waterfront location to live in.